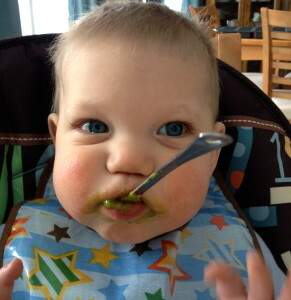 My son loves his vegetables. 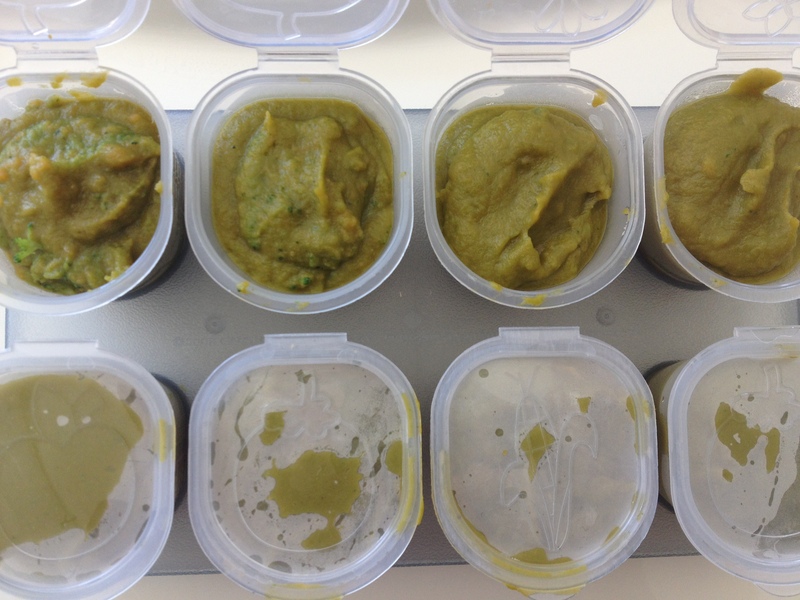 While he pushes away some of the pureed veggies, he still loves his Swaccoli (sweet potatoes and broccoli)! He won’t even let go of the spoon. Best yet, I love making it. It is so simple to make and packed with great nutrition. 2. Wash and cut broccoli into small chunks. Steam for 5-6 minutes, until broccoli is tender. 3. Once sweet potatoes are cool to touch, peel off the skin. Place sweet potato and broccoli into a blender and blend until smooth. Add water if necessary. 4. Distribute mixture into desired freezable containers. Servings: This recipe made 13 2-oz servings!